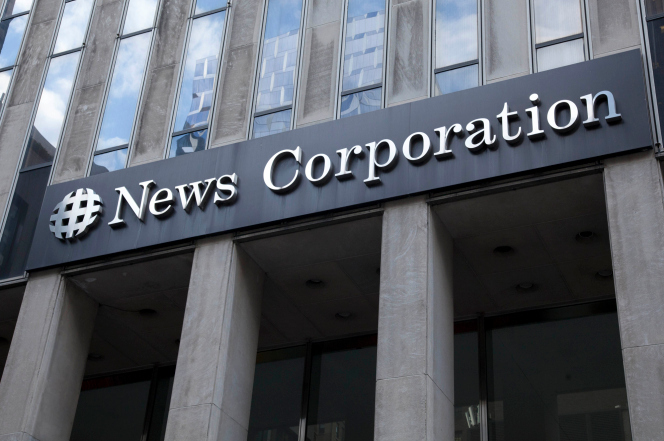 News Corp. posted higher profit in the quarter that ended Sept. 30, boosted by a one-time tax benefit. The company, which owns the Wall Street Journal and The Post, said income from continuing operations rose to $143 million, or 22 cents a share, from $109 million, or 15 cents, a year ago. Excluding certain items, adjusted earnings were 5 cents a share in the latest period. Revenue fell 4 percent on foreign currency fluctuations and lower print advertising. Excluding the effects of currency, revenue rose 4 percent, “underscoring the value of our shift to higher growth businesses and our prudent reinvestment strategy,” Chief Executive Robert Thomson said. Digital real estate operations were a standout. Revenue at the unit, which includes US Web site realtor.com and a stake in Australia’s REA Group, jumped 71 percent, to $191 million. Revenue at news and information services fell 11 percent on ad revenue weakness and currency fluctuations.